You might be searching for the latest Talk N Text internet promo this year for you to surf your favorite websites and apps. The good thing is we have here the complete list of offers for 2019 that you can subscribe that depends on your budget. You can start with their budget friendly price that is 2 pesos or go bigger data bundles that ranges from Php50.00 to 999.00 pesos. They also offer exclusive promo that lets you use trending apps like Facebook, Wechat, YouTube, Twitter, Instagram, Viber, iFlix, Spinnr and more. Most of that cost you for only 10 pesos with up to 3 days validity. Of course, there’s a daily bandwidth limit implemented on all of the TNT internet promo offers. We can start with their unlisurf offer called Surfmax that gives you non-stop internet surfing, but with daily capping of 800MB daily. You can still browse to the web after you fully consumed the allocated data but with a slower internet speed that may drop in 2G quality. Promo starts from 1 day, 7 days up to 30 days or 1-month validity. Next is the Gaansurf which known as a budget friendly internet promo. You can register to this offer for as low as 10 pesos up to Php150.00 with respective bandwidth inclusion on its price. It also includes app access to Mobile Legends, COC or Clash of Clans, Arena of Valor and other online gaming app. 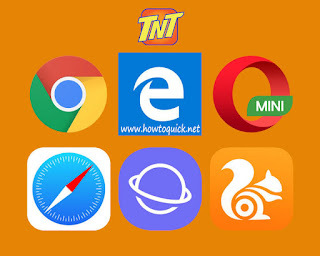 Last is the TNT Tropa Babad apps that lets you online on using app only. You have to install any of the mentioned apps you would like to use to connect to the internet. For as low as 5 pesos you can easily send chat messages, update status online and browse the latest news feed using your TNT prepaid SIM. Tip: You must use Talk N Text LTE SIM to experience Smart/TNT fast internet speed that can reach up to 40+ Mbps as long as your location covered by their widest LTE network. You can use all the above offer with your Pocket Wi-Fi, USB broadband, smartphone, tablet as long as it's capable of cellular data network or SIM capable device. You can also wisely avail their free LTE SIM upgrade offer by visiting your nearest Smart store or call the hotline using your mobile phone. You can also visit TNT website and social media pages for updates.